We Build – You Save!  Homes by Eagle is a RESNET Energy Smart Builder. 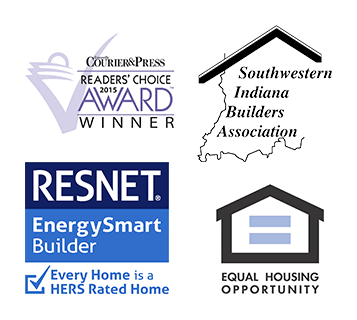 In fact, we go the extra energy-conservation mile in every step of the building process. 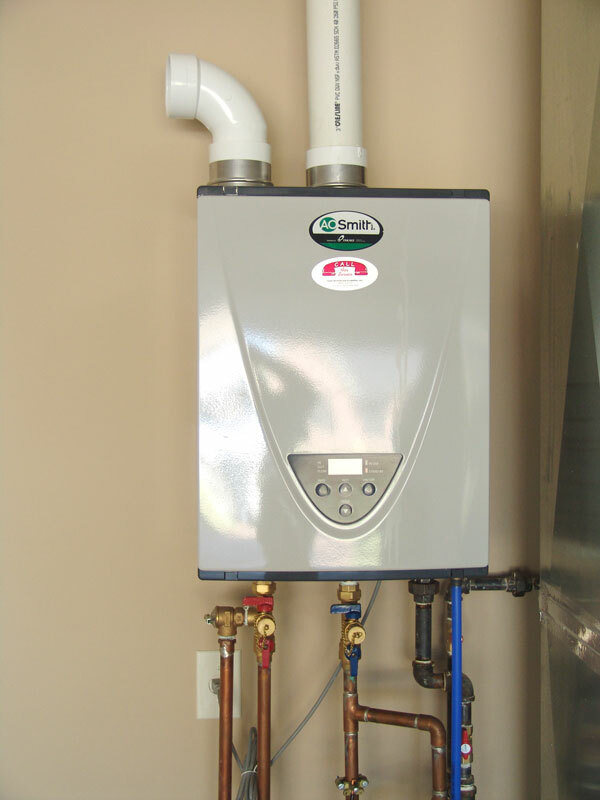 Because there is no tank, tankless water heaters have no standby energy losses commonly associated with water storage units. 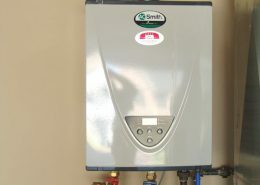 A 92% efficient tankless water heater is one of the most cost-effective ways to conserve energy in a home. 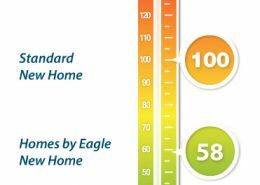 Low E (or low-emissivity) glass is a type of energy efficient glass designed to prevent heat escaping through your windows to the cold outdoors. This glass contains an invisible coating that dramatically reduces heat transfer and reflects interior heat back into the home. When you consider that up to 25% of the heat in your home can be lost through windows, the installation of Low E models is a great choice. 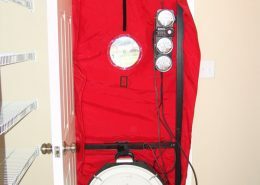 Blown fiberglass insulation for attics; spray foam insulation for crawlspaces; sealed ductwork; caulk and foam packages for windows, doors and framing—all of these methods provide excellent ways of restricting air flow, and therefore saving money on heating and air conditioning costs. According to the U.S. Department of Energy, you can save as much as 10% a year on heating and cooling costs by simply turning your thermostat back 7 to 10 degrees F for eight hours a day from its normal setting. A programmable thermostat makes this fast and easy by allowing you to automatically schedule times to turn on the heating and air conditioning, and not operating them as much when you are asleep or at work. The more efficient a furnace, the lower your energy bill for heating. Calculating a furnace’s energy costs takes into consideration both the gas it burns and the electricity it uses to run its controls and blowers. 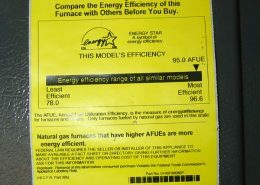 A common method for determining how efficiently a furnace converts gas into heating energy is the AFUE, or annual fuel utilization efficiency, which is measured as a percentage. The higher the percentage, the more efficient a furnace is considered to be. 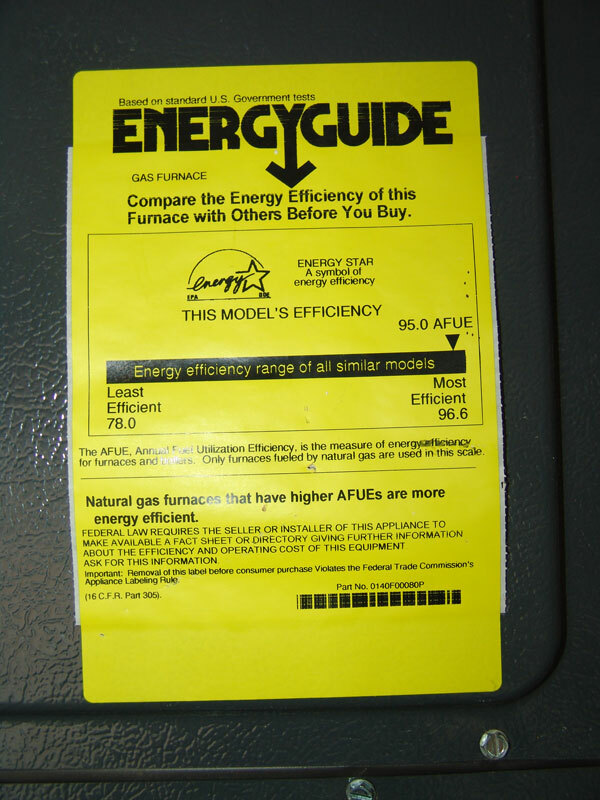 According to Consumer Reports, an average furnace built in the 1970s has an AFUE of about 65%. 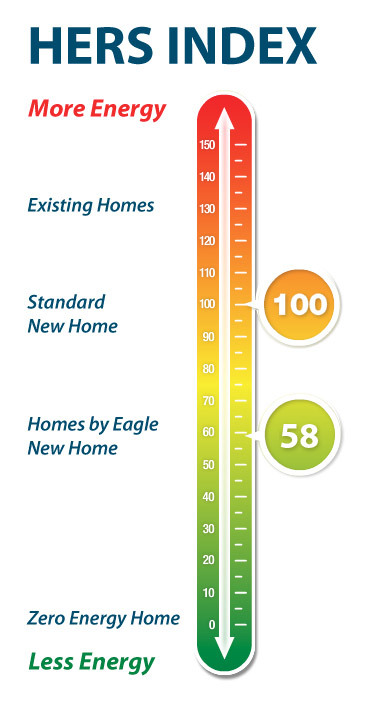 All Eagle homes are outfitted with 95% efficiency furnaces, some of the most efficient models on the market today. 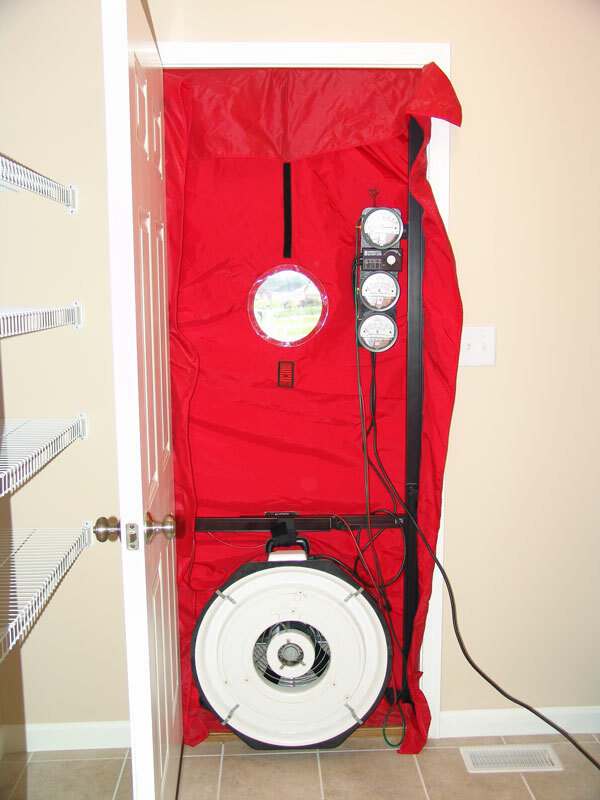 We hire a third party to conduct blower door and duct blaster tests to ensure that every home is properly sealed and therefore protected from air and water leakage. Yes! We use them in every home. Just Ask! Higher efficiency air conditioners and R-50 ceiling insulation are two of many options available to customers who want to take energy efficiency to the next level.